This is an Inter - City Cultural [ Dance & Music ] Communications blogging program between the cities of Copenhagen, Denmark and Ithaca, New York. The sale of organic products in Copenhagen is dramatically on the rise. 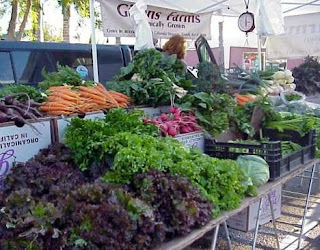 More restaurants, cafes and even hotels are riding the "green wave" that is pushing the city to a whole new level of eco-consciousness - far beyond the prevalent health food shops. Copenhagen has green ambitions, which is evident by the variety and quality of organic goods on offer. There is an explosive demand for Danish organic goods and only few other metropolitan cities in the world can match Copenhagen's share of consumption of organic foods: Today, the private sector's purchase of organic products in Copenhagen is about 10-12 percent, and 45 percent of all food consumed in the city's institutions is organic - that is the world's record. To ensure Copenhagen continued development, the environmental strategy "Environment Metropolis - Our Vision 2015" has set targets for organic food consumption up to 90 percent by 2015 in all of the city's institutions. The target for private businesses and households purchase and consumption is expected to reach at least 20 percent. Copenhageners' organic consciousness is also making its mark outside of the political world. A new league of restaurants, cafes and delis are sprouting up over the previous eco-community centres and vegetarian restaurants. Out with idealistic declarations and in with common sense, a desire for clean (Nordic) produce and sustainable relations with nature's resources. Copenhagen's shining star among these eateries is Geranium located in Kongens Have, the King's Garden. The restaurant is run by two of Denmark's best chefs, Rasmus Kofoed and Søren Ledet. The team uses organic and biodynamic ingredients exclusively - that goes for the wines as well which come from around the globe.Rasmus Kofoed describes Geranium's food as Danish and organic with a lot of vegetables and herbs. They enjoy updating classic dishes - for example serving a lavish version of a Danish stew. Rasmus Koefed is a double medallion winner of the prestigious Bocuse D'Or, the world cuisine contest, which is a chef's equivalent to a world championship. 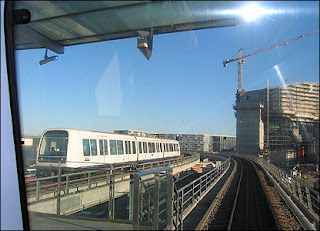 Copenhagen Metro now runs from airport. A new stretch of the Copenhagen Metro has opened. The new addition runs to and from Copenhagen airport to city centre and is a boon to tourists, business travellers and Copenhageners, making it possible to travel from the airport to the city centre in just 15 minutes. Travel between the airport and Copenhagen city centre in just 15 minutes! After years of preparation, the new stretch of the Copenhagen Metro to and from Kastrup Airport has opened, making it easier and faster for tourists as well as locals to travel to and from the airport. The Copenhagen Metro is the most modern in the world, and the new extension has been integrated into overall Metro operations without any negative effect on reliability, which in the first six months of 2007 was 98,5 percent. The new stretch is 4,5 kilometre long and runs from Copenhagen Airport, Kastrup, to Lergravsparken along the eastern shoreline of Amager, stopping at the new four-kilometre-long beach Amager Strandpark. The line extends through the centre of Copenhagen to Frederiksberg and Vanløse. MetroRegardless of where you are staying, the beach, shopping, open countryside and links to foreign countries are just a short Metro ride away. Weighing 52 tons and measuring 39 metres by 2,65 metres, a Copenhagen Metro train is a lightweight compared to the traditional Metro trains used in other cities. It is these physical dimensions, the driverless system and the electronic monitoring and safety systems that give the Metro the unprecedented flexibility suited to the needs of a rapidly developing city. Each train can hold 300 passengers. And with a frequency of 100 seconds at peak times, you can get from A to B with great regularity. National and Internation Social Dance Registry to register your community's weekly socials. Offer suggestions to Night Life ( NightLife ), RMC Art Gallery - Galleries, Artists and Art Studio Guides, Night Life ( NightLife ), RMC - Night Sport Clubs - Nite Spots Guide, and suggest listings and others items not being covered. Cultural Democracy an Evolving Essay . A supporting blog for Copenhagen Night Life ( NightLife ), RMC an Inter - City Cultural Communications website program between the cities of Copenhagen, Denmark and Ithaca, New York. The focus of which is to exchange cultural information via the internet medium about the nightlife, dance, theatre life, art, artist, entertainment, accomodations, restaurants, and dance scene. The second stage is to include the regional communities under the sociocultural and socioeconomic influences of the city of Copenhagen. This add depth, and brings the online user into the very national environment of each selected city within the growing network of Night Life ( NightLife ), RMC. More importantly, it allows a greater field of participation from the community online users to convey their interests and contributions to this cultural democracy initiative. Copenhagen Night Life ( NightLife ), RMC Commercial WebSite.